Surveys attempt to find things out about a population. For marketing research purposes populations may consist of people or firms. A population for a survey comprises all the persons or companies to which you would like to direct questions. It would be highly advantageous to contact all members of a population and ask them to answer all the questions we want to put. If this could be done we could produce very accurate results. However, only seldom is it possible to contact or gain a response from all the members of a population. The exception is in the case of industrial market research where it may be possible to contact all the firms that make up a particular population because the population may be very small (see Figure 4.1). Usually, large populations are encountered in marketing research and it is impractical or too expensive to contact all the members. In such cases we have to take a sample from the population - but we must ensure that the sample we choose represents the population as a whole. • Who is to be surveyed? This defines the target population. Once this has been done the next step is to develop a sampling frame: that is a way of giving everyone in the target population a known chance of inclusion in the sample. How many people/companies should be surveyed? Large samples give better results than smaller ones. However, samples of less than 1% of a population can often provide good, reliable information provided that the sampling procedure is creditable. How should the respondents be chosen? Probability samples allow the calculation of confidence limits for sampling error. Thus in taking probability samples we can attach probabilities to any point estimates that are made. Cost and time often make it impractical to collect data through probability samples. Researchers often use non-probability samples - particularly quota samples. Strictly speaking, sampling errors cannot be measured in such cases. 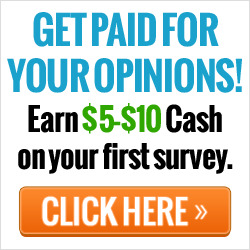 • How many people/companies should be surveyed? • How should respondents be chosen?